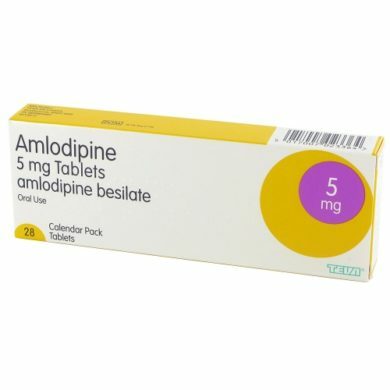 Amlodipine is used in the treatment of high blood pressure (hypertension) and also chest pain (angina). Amlodipine is a long acting calcium channel blocker used as an anti-hypertension medication. Amlodipine can help the blood vessels relax and creates better blood circulation reducing the strain on the heart so the heart doesn’t need to pump so hard. 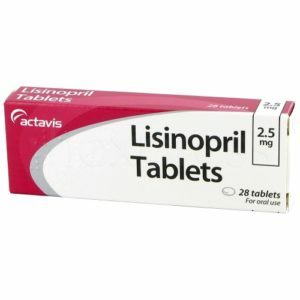 Amlodipine will not cure high blood pressure or chest pains but it will help you control the condition you suffer from. High blood pressure can affect people at least once during their life. It can take many years to develop high blood pressure so it’s important to have regular check ups and blood tests on a regular basis to diagnose it. Amlodipine works by slowing down the rate in which calcium proceeds into the heart and the blood vessel walls. 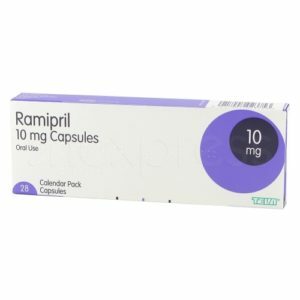 Amlodipine can help the blood vessels relax and creates better blood circulation reducing the strain on the heart so the heart isn’t required to pump so hard. This helps the body to have better blood flow reducing the blood pressure. Amlodipine is a safe medication and doesn’t affect the heart rate like some other medications. Amlodipine is an oral tablet taken once a day with or without food. It’s best to take the tablet at the same time daily, this way you are less likely to forget to take the medication. The dosage could vary depending on the condition you are treating. Make sure you follow your doctor’s directions. All medications have side effects you need to be aware of. However not everyone will experience side effects when taking Amlodipine. You also need to keep in mind that some side effects can be quite minor compared to the serious condition you have if left untreated. Amlodipine is available to treat high blood pressure and angina and can be purchased online very easily. Firstly, you will need to complete an online consultation to purchase the prescription medication. This is a free consultation that only takes a few minutes. Once that is completed, and you have been approved for the medication, it will be sent to you from the chemist within 24 hours. Well I’ve been on amplodine 10 mg for over a year and a half. I take 5mg in the a.m and 5mg in the p.m… I will give it a 3 star because it does has many side effects dizziness, muscle pain, muscle twitching, edema lightheaded. stomach pain ,flushing, dry skin, increased urination at night increased appetite etc… I’m lost I don’t know what else to do.. now this constant ringing in my ears. I have had no side effects at all with this drug. I take 10mg, the highest they will give. My blood pressure without treatment is deadly and it combined with a water pill and another blood pressure drug keep me down to safe levels. I started on Amlodipine 5 mg about 6 weeks ago because my BP had been spiking (as high as 145/110). Almost immediately my BP went down to more normal levels but after a few weeks I began experiencing anxiety, depression, nervousness and found it difficult to focus on anything. Sleeplessness became a problem as well. I’ve cut the dosage to 2.5 mg on my own but notice that the BP is beginning to rise again. I don’t know what I’m going to do yet but I know I can’t bear the way I was feeling before. Dr. said she’s never heard of these side effects for Amlodipine. So I guess I must be imagining it. Just started on 5 mg Amlodipine yesterday after 2 weeks with diastolic @90 and then spike up to over 100. I am 68, have coronary artery disease, anxiety and recently developed hypertension which started with a spike back in July before shoulder surgery. With increased Metoprolol and Xanax my BP went back to normal (range of 128/77 ) Then 3 weeks ago quit caffeine and white wine. 4 days later waking up with headache every day, BP spiked to 159/105. Next day woke with chills/shaking 3am, BP 160/100. BP spiked to 174/113 very scarey. Went to ER; after all testing, told I was not having a heart attack or stroke, but acute hypertension Amlodipine did bring my BP down to 130/87 yesterday, but had a slight headache all day; today BP 128/87. Woke 1am today felt a little shaky with slight headache — could be from lack of proper sleep. I am very drug sensitive so I am praying I don’t get bad side effects. I’ve taken Amlodipine since 2007. Apart from swollen feet which was controlled with a diuretic, I have had no side effects. Recently I was able to halve my dose from 10 mgs to 5 mgs. Very happy with the drug, my BP was sky high and is now a steady 135 over 70 and has been fir years. I am sixty five. AMLODIPINE… For as long as I can remember I suffered from headaches. Over the years this increased to every day. Nothing worked I truly wanted to die at times. My life seemed to be based around headaches. Then I was diagnosed with high BP. I was tried on numerous BP tablets but one gave me real bad cramp and the next made my headaches worse. I truly had enough of life at this point as it seemed I was having headaches almost all day, every day. I’d go to bed with one and wake up with one. Then I was put in AMLODIPINE and what a miracle for me. Not a headache since. I am so relieved and so happy. I have my life back. I am on 5mg daily. I suffered from migraine for most of my adult life and was out sick several days a year because of this. I had all the usual symptoms of light sensitivity, pain on one side (occasionally shifting to the other), nausea, and vertigo once. Eventually, I developed high blood pressure and was given Norvasc. The migraines stopped immediately and I have not had a headache of any sort for decades. I currently take the generic form of this medication with equal benefit. I’ve been taking Amlodipine for about 15 years or so. I’m in my mid 50’s Guess it must be working well for me. I’m on 10mg, I do have the occasional persistent coughing. No other problems that I’m aware of. I would say I’m about 40 lbs overweight. BP has been pretty good overall These was a time it was a bit elevated, just before I went from 5mg to 10mg about 5 or 6 years ago. All drugs have side effects, these have not been bad. I just keep my water handy, in case I get dry or cough. I also drink at least a gallon of water a day. I believe this helps my overall health. I got prescribed Amlopidine for high blood pressure. However, for years beforehand I had suffered with terrible migraines at a weekly-(ish) frequency. They were crippling, affected my vision, and they would often last for 1-3 days at a time. 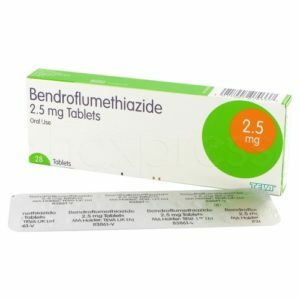 Anyhow, as my BP had been slightly raised consistently, and as my family have a history of hypertension, my current doctor suggested I take Amlopidine. I had been reluctant to take it as he’d said once on them I should take for the rest of my life. After 3 months of taking them, however, I realized that I hadn’t had a migraine for a while. 6 months further on … still no migraine. Amazing! I mentioned this to my doctor who then told me that Amlopidine was being used in the treatment of migraines. Well – it works – What a blessing – it’s been liberating! I hope it continues to work. I’ve been on Amlodipine for five years. My doctor started me on 2.5mg daily, and just last year bumped me up to 5mg. No side effects. What is especially remarkable is the TIME it takes to have an effect. When first was put on it, it was a month or two before by BP decreased. When it was bumped up, it *again* took a month or two to have any effect. So if you’re going on Amlodipine for high BP, BE PATIENT.